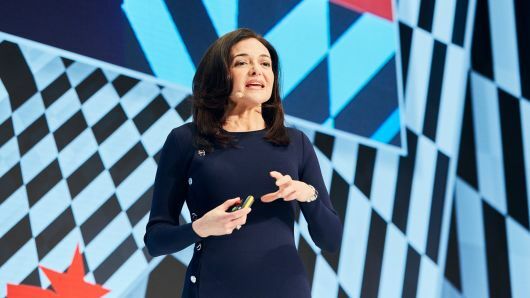 Facebook COO Sheryl Sandberg admitted last week that this company had trapped in trouble, saying with “understands the deep responsibilities we have,” because it is trying to win back users’ trust after months of controversy over privacy and data sharing. Facebook was accused of abusing its user’s personal information, the strong public opposition, because it was reported that political consultancy Cambridge analysis (Cambridge Analytica) in the case of without the consent of the user explicitly for tens of millions of Facebook users’ personal information. Following the revelation of the March report, the Federal Trade Commission (FTC) launched an investigation into the company’s data practices. The FTC is reportedly considering imposing a ‘ record fine ‘ on the social media company. Last Sunday, Sandberg outlined five steps Facebook has taken to “reflect and learn.” , which include investing in security mechanisms, preventing election interference, cracking down on fake accounts and information, making sure people feel they can control their information, and making Facebook more transparent. Regarding election interference, Sandberg said Facebook continues to remove pages on its platform that have “inauthentic behavior” and that the company will be using tactics like this in the upcoming elections to the European Parliament. She said Facebook is blocking more than 1 million “fake accounts” every day. And she said Facebook has “dramatically cut down on the information apps can access” from users. “Speaking for Mark Zuckerberg, for myself and for everyone at Facebook, we are more determined than ever to keep people safe. And we are taking strong actions to do it,” she said, referring to the company’s founder and CEO.